If you are using Lync or Skype for Business on Premise, Federation is needed. Please make sure that ‘Enablingtechcorp.com, Enablingchat.com and Enablingwebchat.com’ is added to your allowed domain list. Since Enabling Tech Corp is federated with Microsoft, we have open federation and therefore these settings will allow communication between our organization and yours. 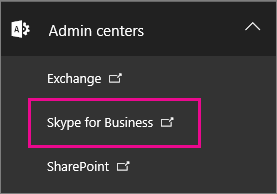 For a list of all ports you need to open, see Skype for Business Online, in the article Office 365 URLs and IP address ranges. Note: If you are still not receiving presence after these steps, please allow 24 hrs for the Federation process to finish the update. Also make sure the the setting “I want everyone to see my presence” is set inside of the Skype client options: Options/Status/ Check (I want everyone to see my presence).